Without delving too deeply into philosophy and human psychology, can we agree that we are happier and perform better when we’re doing things that we like to do? We needn’t take it any further than this. If you truly believe cleanliness is next to godliness, you’re going to do a better job of scrubbing the toilet than me. You are motivated to do better. If we can accept this simple proposition, why do we adopt, as official policy of the state and federal governments, strategies that destroy the joy of learning in children and teachers alike? Have thoughts or opinions on this? Feel free to leave your comment below the article. All across the state recently were news headlines pronouncing the failure of Michigan’s students and schools on standardized tests. Instead, the headlines should have pronounced the NAEP, the M-STEP and PISA as failures. Earlier this year we wrote about the purposeful misuse of the National Assessment of Education Progress to denigrate the nation’s schools and student performance. Our deployment of Michigan’s standard assessment is equally destructive. The M-STEP is more a measure of poverty than it is of student performance. The School Finance Research Collaborative clearly points out that schools do not have sufficient resources to meet the needs of economically disadvantaged students and English-language learners. It’s evident to everyone, especially savvy reporters like MLive’s Monica Scott, who are smart enough to look beyond the numbers to better understand what’s really happening with these “accountability” measures. Don’t get me wrong. I’m not saying the economically disadvantaged can’t learn. My own lifetime experience is evidence of that. But our obsession with these assessments is killing the joy of education. Gallup has surveyed more than 5 million students since 2009, and annually surveys the nation’s superintendents. The international research firm reports students’ sense of hope, the promise they see in their future, their opportunity to do what they do best, and their relationships in school are the most important elements in their success in school. These are exactly the things we drive out of their educational experience over time through our obsession with their ability to regurgitate memorized facts and formulas on multiple choice tests. 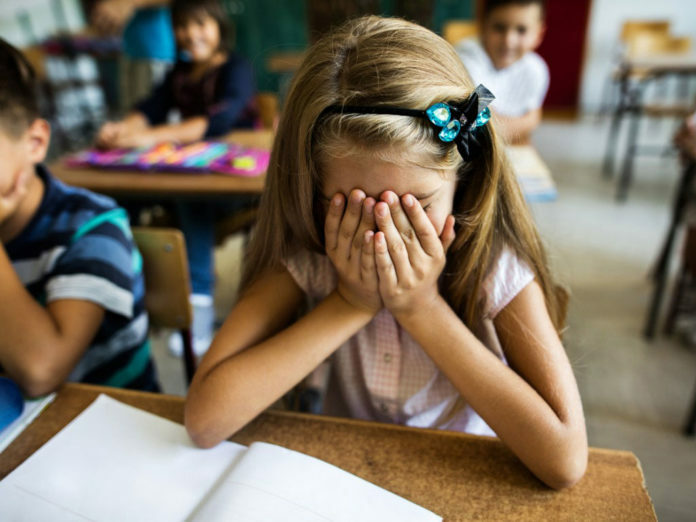 Internationally renowned educational expert Young Zhao of the University of Kansas has consistently found this obsession with testing is counterproductive and diminishes students’ joy of learning and confidence in their own abilities. Here at Kent ISD, we daily see students who are invigorated, enthused and yes, hopeful, in their pursuit of knowledge in hands-on education at the Kent Career Tech Center and in Kent Innovation High School, where students master core content and concepts by working in teams on real-world projects. Educators from Kent ISD and several of its member districts last spring visited Nashville, TN, where community leaders in 2005 chose another path, one inspired by Ford Next Generation Learning. Instead of focusing on test scores above all else, they chose to explore an instructional model that was more engaging for students. One that engaged them, inspired them, and gave them the hope for the future Gallup has identified as the single most important element in student success. Nashville’s business leaders, philanthropists and educators could have followed the pack. They could have doubled down on test preparation and experienced the same, slow and steady process of beating the enjoyment out of their students. Instead, 13 years later, they are rewarded with a graduation rate that has has grown by nearly 50 percent since 2005 and students who are earning more advanced placement credits, more dual enrollment college credits and more industry certifications than ever before. One Nashville community leader told our delegation from Kent County he was told by the police chief that the career academy model used in Nashville was so effective and engaging for students, that the average age of a gang member in that city has gone from 16 to 26. As William Butler Yeats famously said, “education is not the filling of a pail, but the kindling of a fire.” Our kindergarteners come to school alive with interest and hope. Let’s stop snuffing it out. THANK YOU, Ron, for having the courage to say what many of us have been saying for years. Please continue to declare this loud and clear until “the Deciders” listen and take action that favors students as well as educators. Standardized testing has never benefited anyone. I can’t agree more! I have never been a proponent of standardized testing for students; not when my kids wee in school, and even less so now that I am an instructor. I teach Heavy Equipment repair at Wexford Missaukee Career Technical Center. 3 years ago, we started using hands-on testing for our students and found we had students completing with a much better understanding of concepts we teach. Since then we have moved more towards hands-on testing, to the point where almost everything in our program is designed around that type of testing. Now we’re hearing about standards-based grading – let’s hope this is a good trend away from standardized testing. I can’t agree more with your article! I have never been a proponent of standardized testing. Not when my kids were in school, and much less now that I am an instructor in the Heavy Equipment repair program at Wexford-Missaukee Career Technical Center. Three years ago we started hands-on testing vs. written testing in our program. Since then we have increased the amount of hands-on testing and have seen an amazing increase in student understanding of the material we teach. I am starting to hear of ‘Performance-based grading’. I hope this type of grading will catch on and begin to do away with standards-based grading! Thanks for the article!